aldryn as a 3D Name Wallpaper! 3D Names - the website where you can download your name in 3D! Search for your name and see what happens! Subscribe to our newsletter and stay up to date with our latest news and updates! 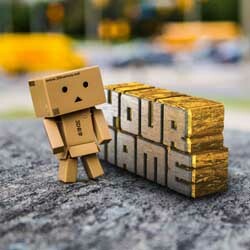 Please welcome aboard the awesome looking Danbo (AKA Boxman) to the 3D Names universe!